Art created for sales aid material for XELODA, a chemotherpay proven to fight certain types of cancer. 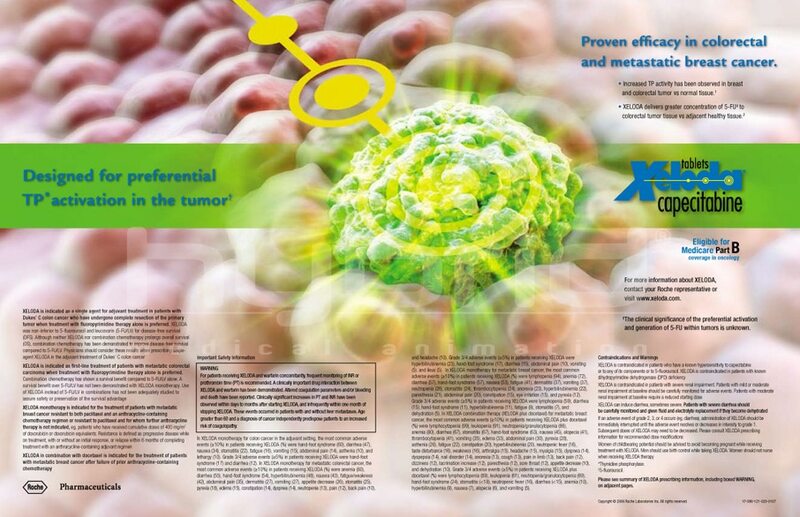 The main focus for the sales aid was to clearly and simply illustrate the preferential activation and prolonged presence of XELODA in tumor versus normal tissue. Incorporating a “target” graphic from previous sales aids was a key here, as well as providing our client a layered file. This would give them the opportunity to manipulate the illustration further as needs arise in the future; for example, being able to turn off the “target” graphic without any hassle.